"Hello, my name is Bev and I am a Run Group Leader with These Girls Can Run. I was never a runner as a child and ‘missed’ many PE classes due to juvenile arthritis and migraines. After leaving school and moving to the North East I ran two Great North Runs (GNRs) with a friend, in 1997 and 1999. We did some training but looking back not very effectively. I really struggled and had to walk most of the way from 8 miles to the finish both times. I did not run again for 14 years until 2013, when on a whim I persuaded my friend to come back to the North East for a GNR reunion. Although now married with children and living many miles apart we managed to follow a training plan virtually but together. This time with adequate preparation we ran the full route and it was an amazing experience. I’d like to say I kept running from then, but I lacked motivation. That was until I saw a Facebook post about These Girls Can Run back in 2015. The post was so encouraging and positive and made me want to join the group and run again. I embarked upon the couch to 5km podcasts, very wrongly believing that I had to be able to run prior to joining a running group. On reaching the 5k target I went to my first run with TGCR in June 2015 and right from this first run I was hooked. 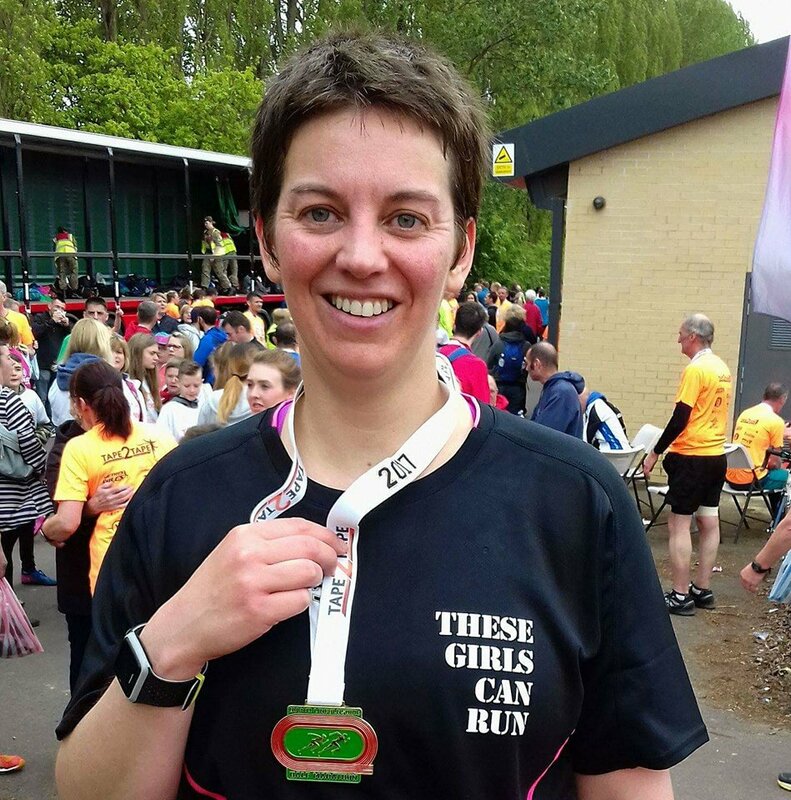 It was very clear that TGCR is there for ladies of all abilities right from total beginners. It offers so much support and encouragement and the running is just a small part of this. TGCR has helped me so much with my physical and mental health. Through the group I have made many friends and become a regular runner, now working my way up to my first marathon. The TGCR community is about so much more than running, whilst also giving the support and skills to be runners. Through being a Run Leader I hope that I can support and encourage others on their running journey and through following the ethos of TGCR give back a little of what the group has given me"